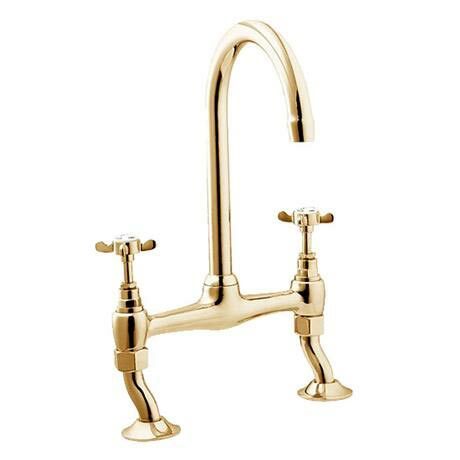 Classically styled taps, designed and built using the latest techniques. The Deva Classics Coronation range prides itself on lasting quality and everlasting style. The Coronation range will bring an immaculate finish to any kitchen. Q. On your dimensions it says the taps are between 160mm - 240mm my existing taps are 178mm centres so will this product fit my opening? Hi, yes, distance between the taps can be adjusted to fit tap holes of widths between 160-240mm. Hope this helps! Q. The distance between my existing taps are 178mm will this tap fit ? Hi, this sink mixer has adjustable centre pillar for easy installation 160- 240 mm. It should be fine for 178mm. Thank you for your question.